11 for Legal Marketing AND Social Media? Dang! First, let me explain my alarmist title. I’ve been sitting on this post for a while, in some ways waiting for inspiration to strike on how I should approach it. And just like that, I was given an example. To mask the personality of this person, I will refer to him as Q. Q became a good friend in his sophomore and my junior year of high school, was my prom date, but we parted ways (aside from occasional contact) after I left for college. So while we worked together in organizations such as Spanish Honor Society (si) and Amnesty International, we know little about each other as adults aside from what is broadcast on Facebook, LinkedIn and the like. So when a little flag popped up yesterday saying “Q has endorsed you for a skill: Student Affairs.”, I was understandably a little confused. While I appreciate Q’s faith in my ability to do my job, and I apparently appear competent based on the things I post and talk about (woo! ), he doesn’t really know. Thus, my opening to talk about my concerns with LinkedIn’s fairly new Endorsement feature. Originally designed as something of a “lazy man’s Recommendation”, Endorsements allow you to state your agreement with someone’s assessment of their own skills, or to suggest skills that you know that they have. As an example, some of my highest endorsed skills right now are Student Affairs, Event Planning, Higher Education, and Public Speaking. This has become the case by people visiting my page (or being prompted on their own) and clicking a plus sign next to the skills listed. There are two potential, and in some cases, actual problems with this. The first is what I mentioned, false recognition. I am endorsed in Higher Education by several colleagues and former supervisors, and even people with whom I have worked with on work-based projects outside of my office. But I am also endorsed for Higher Education by my neighbor, who I have only worked with in an unrelated event management capacity. And again, while I appreciate her confidence in me, she doesn’t really know that I’m good at my job. When endorsements are given in a quid pro quo form (i.e. “If you endorse me for something, I’ll endorse you back!”), they lose meaning. Similarly, to endorse someone’s experiences based on their potential to do the work, while encouraging, can ultimately be misleading. Up to this point, I have spoken of others falsely attributing competence or expertise to me. However, it could just as easily go in the opposite direction. My second concern surrounding LinkedIn endorsements is false attribution. That is to say, rather than someone falsely crediting me with competence in an area, I could falsely bestow it upon myself. As an example, I am very interested in career advising, enjoy helping students determine their route in life based on their interests and abilities, and even have been known to proofread resumes and cover letters. But I don’t have “Career Advising” or “Career Counseling” listed as a skill on my page. Why? Because it’s not true. I became concerned with this flaw in the Endorsement concept when looking to recommend an undergraduate student that I worked with several years ago. 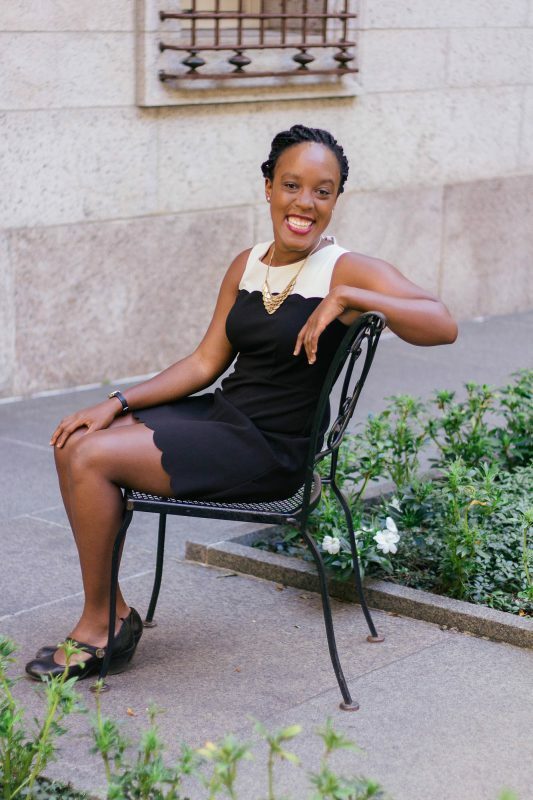 Among skills listed on her page: Student Affairs, Higher Education, and Leadership Development. This was difficult for me to understand. Has she worked in these areas? Sure. Is she competent in some areas of them? Maybe. But does she have a level of understanding of any of them that allows her to be endorsed for it? That may depend on who you ask. And further, if someone was to patently fabricate skills on his or her profile (Great example: if I listed basketball or calculus as skills), where is the control to prevent that? So what to do when refining our own pages, or when browsing the pages of others in hopes of commending their good (and, hopefully, actual) work? Endorse what you could speak about. Think of it this way. If someone were to see your face next to someone’s skill, call you, and ask you about it, could you speak well of the person in that area? If not, question if you take that moment to click. If you can speak, recommend! If what you have to say about that person’s skills in that area is strong enough or substantial enough, take the extra moment to write a recommendation. Even if it’s short, it’s a powerful way to help them build their career, and to show others who they are in the office or in the capacity in which you know them. With such a competitive job market, it helps to “see” someone in the role; your words could do just that for a friend or a colleague. Stay humble. When listing your own skills, think about what YOU may have to speak on eloquently in a job interview. If you don’t have an example of how you might tout your skills in an area of listed “expertise”, think about if you want it on a profile. “Phone a friend.” If you have trouble determining what your skills are, speak with friends, colleagues and supervisors (who are familiar with your work!) to let you know where you excel. It’s a nice way to know what others think of your skills, and gives you a story to tell in potential interviews. Showing the foresight to get contributions from others, and the grace to accept what they say, are strong qualities that many employers would appreciate. 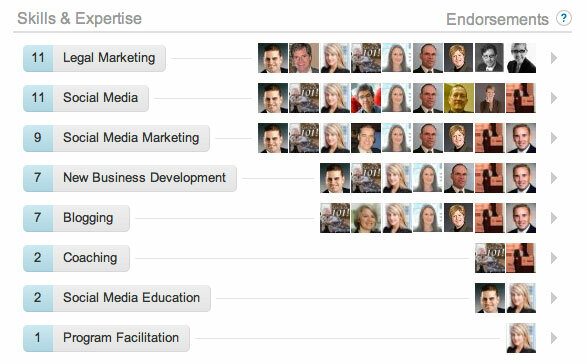 What do you think of LinkedIn endorsements? How do you decide how to list your skills? Have I left out any tips on how to be authentic but complimentary at the same time?